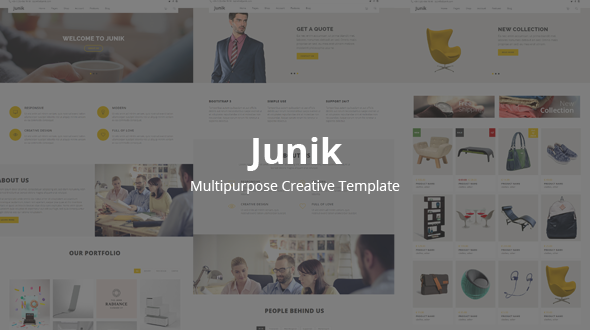 Junik – Multipurpose HTML5 Template for Creative, Business or Corporate websites. It’s based on Twitter Bootstrap framework, fully responsive and available for all screen sizes. Junik Contains 45+ HTML page. All images are just for demonstration purpose only and not included in the downloaded template. But nautical drawn icons just come with the template.